An 1870's Victorian oval lamp or parlor table has a shaped marble top. The gracefully carved solid walnut base has been reglued and refinished to serve another generation. 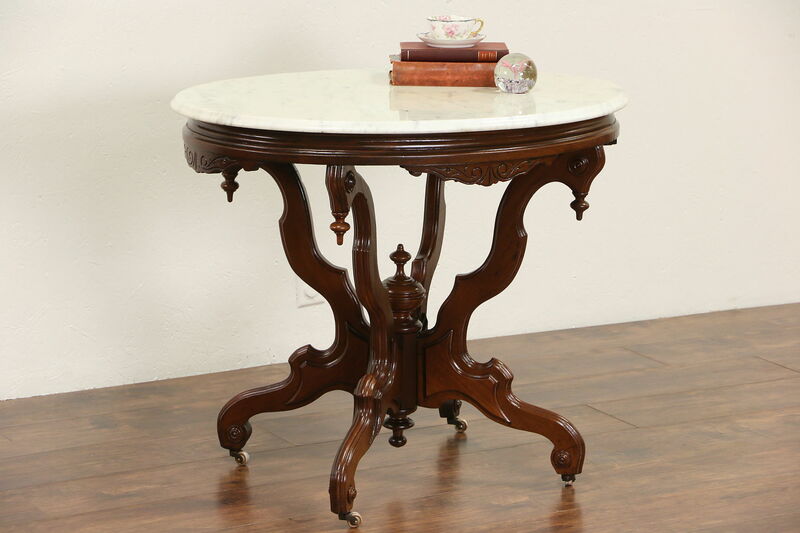 Original porcelain wheels are removable on this American made antique furniture. The marble has been polished and sealed, see photos. Size 36" wide, 26" deep and 30" tall.